Sergey Brin and Larry Page are really lucky to have their names on Cadbury +1 chocolate bars. 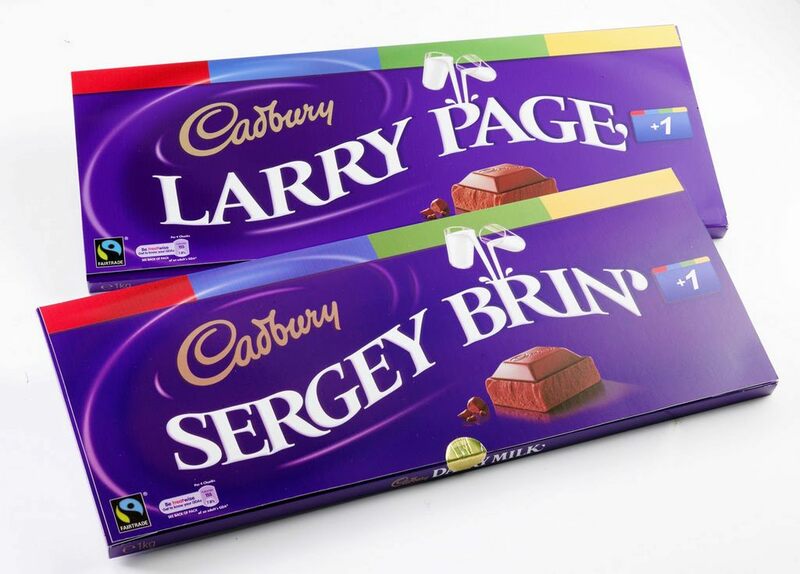 Cadbury has specially made these personalized Dairy Milk +1 Chocolate bars for them. Probably, this is going to be a new trend in social media, when people want to have their names on different products. This is really a nice concept and I am excited to see some other big names on it. Don't you?